1. 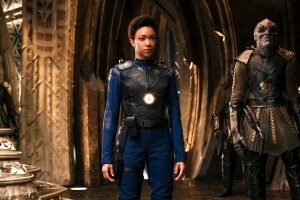 (1.09) “Into the Forest I Go” – While ignoring Starfleet’s orders, U.S.S. 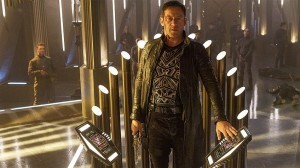 Discovery’s commander, Captain Gabriel Lorca decides to use the ship’s new core drive in an effort to help end the Federation’s war against the Klingons. 2. 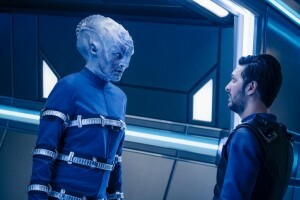 (1.07) “Magic to Make the Sanest Man Go Mad” – While the Discovery crew enjoy a party, an unwelcome visitor boards the ship to seek vengeance and bring about a series of bringing about a twisted sequence of events that involves a time loop. This episode has been recently nominated for a Hugh Award for writing. 3. (1.02) “Battle at the Binary Stars” – Incarcerated in one of the U.S.S. Shenzhou’s brig for disobeying an order, First Officer Burham struggles to escape, while the ship is under attack by the Klingon Empire. Later, she joins her commanding officer, Captain Georgiou, in an audacious plan to prevent war. 4. (1.13) “What’s Past Is Prologue” – With the U.S.S. 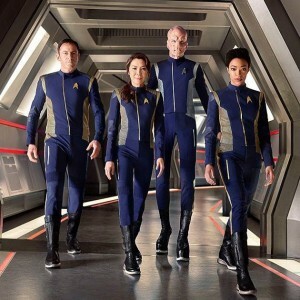 Discovery still stuck in the mirror universe, Captain Lorca plots a coup against the Terran Empire’s ruthless leader, the Emperor Philippa Georgiou. 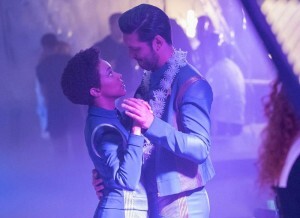 Meanwhile former Starfleet officer Michael Burnham struggles to find a way for the Discovery’s return to their universe. 5. 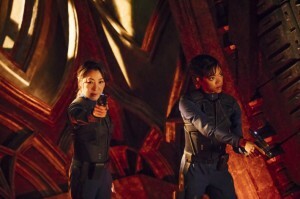 (1.11) “The Wolf Inside” – As the crew continue its deception as being a part of the Terran Empire, Burnham undergoes a merciless mission in hopes of helping the ship return home.